What Services are Offered at the Naperville DMV? Whether registering a brand new car or signing up for a road test, the Naperville DMV is your gateway to all things automotive. The department of motor vehicles provides everything that drivers need to operate vehicles according to the law, so locals should get to know the many services and resources provided at this facility. Let’s take a look at everything you need to know about the Naperville DMV! Before you explore the roads in that new SUV or motorcycle, you need to have the proper licensing in place. The Naperville DMV offers a wide variety of licensing services, including commercial licenses and identification cards, so you can drive from Lisle to Chicago with ease. What if you need help with your driver’s license or permit? New drivers can take both the written and road test at the local facility, and current drivers can update and renew licenses on site as well. The Naperville DMV website even offers online resources, like practice tests and online renewal options. If you’ve just gotten the keys for a new ride, don’t forget to schedule a trip to the Naperville DMV! This facility offers all the registration services that you need to drive according to the law: registration, titling, plates, inspections, and more. Staff can even help to guide you through insurance requirements, registration renewals, and title transfers. Simply bring your paperwork and the DMV representatives will be happy to help. Local drivers should familiarize themselves with the many services of the Naperville DMV, but what else should you know about this town? 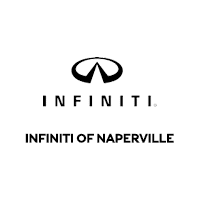 Get to know more about the Naperville community with INFINITI of Naperville, or stop by the dealership to find your next vehicle. 0 comment(s) so far on What Services are Offered at the Naperville DMV?